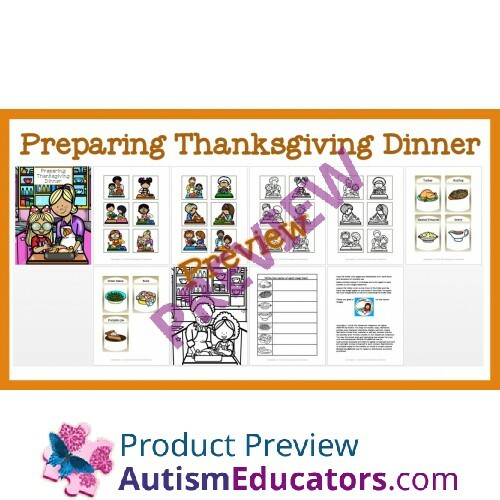 Preparing Thanksgiving Dinner is a product to complement a Thanksgiving theme and talking about holiday traditions. 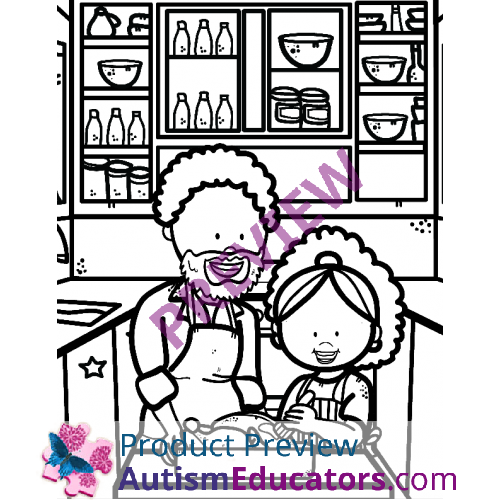 Included is a nonverbal file folder that shows 12 images of children and adults helping prepare the thanksgiving meal. Student will match the color images to the matching black line images. This helps with visual discrimination. 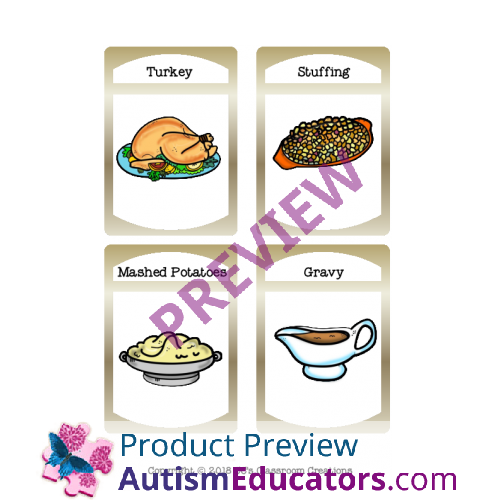 Also included is 7 flashcards showing some of the traditional items made for a Thanksgiving meal. 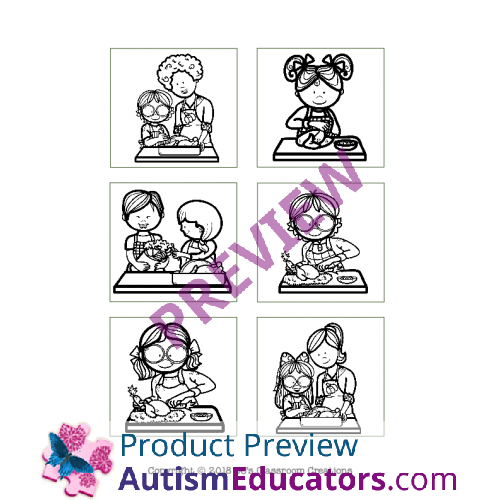 These same images are in black line on a worksheet for student to write down what each image is. 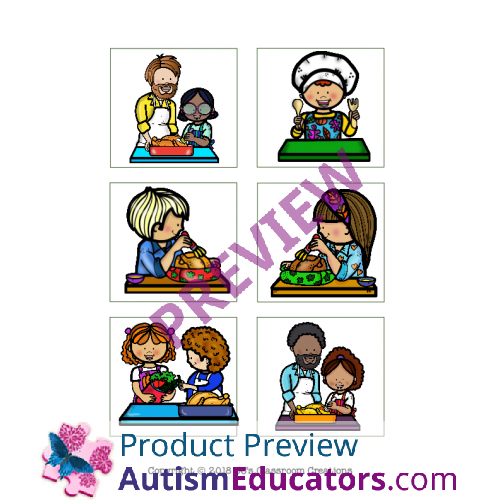 To accommodate special needs, students can use the flashcards to help when filling in the names for each item by matching up the flashcard images to black line images on worksheet. There is a color page as well for the student to show their creativity with color and fine motor detail. 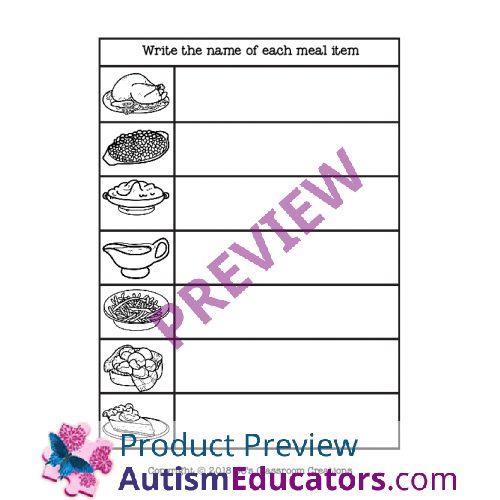 Great for independent tasks and Thanksgiving theme. Given pictures related to a topic or theme, STUDENT will match the identical picture with 80% accuracy, in 4 out of 5 opportunities, by MONTH, YEAR.